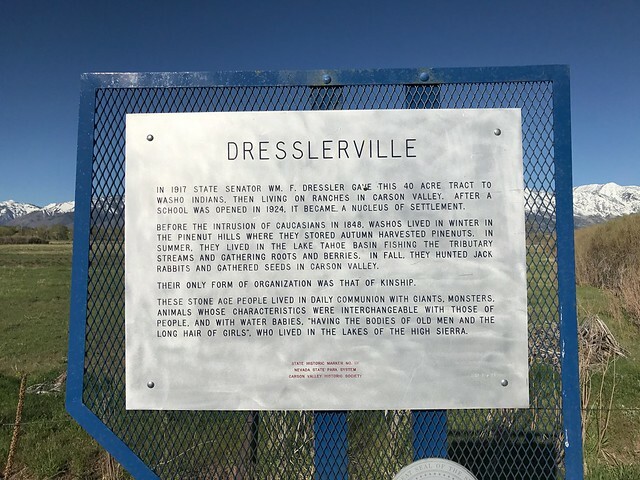 This marker is located at 892 US Hwy 395 N, Gardnerville, Douglas County, Nevada. There are 17 other historical markers in Douglas County. 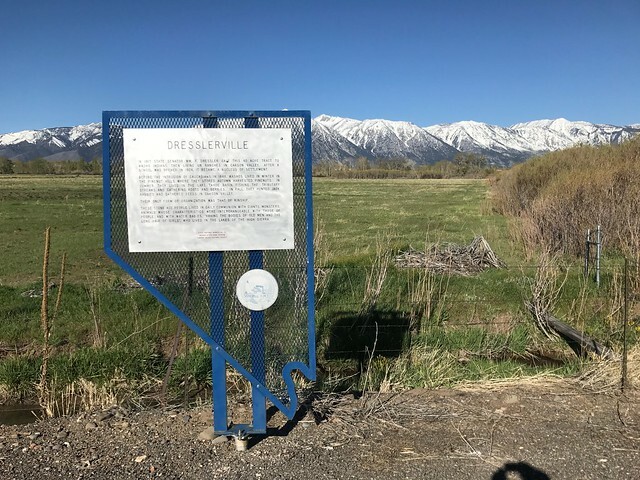 The GPS coordinates for this location are 38° 54' 14.9" N 119° 42' 21.4" W.
In 1917 State Senator William F. Dressler gave this 40-acre tract to Washo Indians, then living on ranches in Carson Valley. After a school was opened in 1924, it became a nucleus of settlement. Before the intrusion of Caucasians in 1848, Washo lived in winter in the Pinenut Hills where they stored autumn harvested pinenuts. In summer, they lived in the Lake Tahoe Basin fishing the tributary streams and gathering roots and berries. In fall, they hunted jackrabbits and gathered seeds in Carson Valley. Their only form of organization was that of kinship. These stone age people lived in daily communion with giants, monsters, animals whose characteristics were interchangeable with those of people, and with water babies, "having the bodies of old men and the long hair of girls," who lived in the lakes of the High Sierra.